Product prices and availability are accurate as of 2019-04-14 07:03:32 UTC and are subject to change. Any price and availability information displayed on http://www.amazon.com/ at the time of purchase will apply to the purchase of this product. 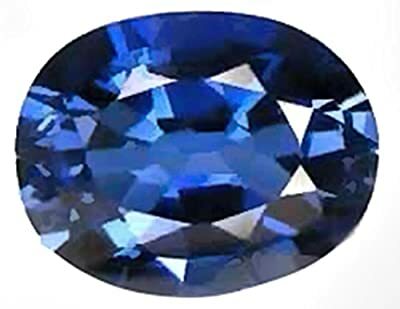 Synthetic Blue Sapphire unset loose faceted oval shape gemstone; light goes through it easily, transparent; sparkling deep blue color; excellent cut; this manmade sapphire gem is suitable for fine jewelry.